From left are Giele Beukes (Doolhof), De Wet Lategan (Bergsig), Candice Danneburg, (Head of Marketing, Novare) and JG Auret (LintonPark). Bergsig Estate in the Breedekloof produced two national winners for Top Red Blend with the Bergsig Icarus 2011 and for the Top Port-style wine with the Bergsig Cape LBV 2003. The latter was also chosen as one of the SA Terroir Top 5 Estate Wines. 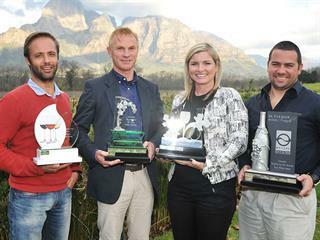 In addition, another four wines from Bergsig received high scores and three of them were designated area winners. For all these achievements, Bergsig Estate was awarded the Novare Trophy for the SA Terroir Top Wine Estate and the SA Terroir Top Producer. South Africa’s other top Estate Wines were also selected, based on the estate wines which received the highest average points. The 2016 Novare SA Terroir Top Estate Wines are: Wildekrans Barrel Select Reserve Chenin Blanc 2015, Rainbow’s End Cabernet Franc 2014, Linton Park Reserve Cabernet Sauvignon 2012 and Bon Courage Noble Late Harvest 2015. This year has also seen the first ever Novare Trophy for South Africa’s Top Single Vineyard Wine. Doolhof Estate in Wellington won it with the Doolhof Single Vineyard Malbec 2014. 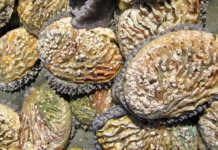 In addition, Doolhof Estate produced the National Winner for White Blend, the Doolhof Lady in White 2010. Many other wines from the Wellington district also stood out, especially those from La Cave, Linton Park, Welbedacht, Diemersfontein and Napier. 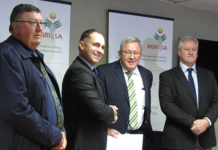 This ensured that the Wellington district received the Novare Trophy for SA Terroir Top Area. For the first time in the 11 years of the competition, Cinsaut wines were also entered from which the Kaapzicht Cinsaut 2015 particularly stood out. This wine is the first National Winner for Cinsaut. For the full list of winners visit www.terroirwineawards.co.za.